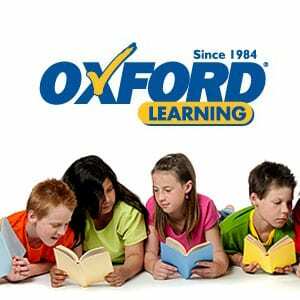 Oxford Learning is Canada’s leading provider of after-school tutoring for students of all ages and grades. We offer programs that are custom-created to meet each child’s unique learning needs and, unlike many other tutoring companies, we focus on teaching kids to learn how to learn, so that they develop the skills that they need to be successful in school. After all, learning is not about memorizing facts; it’s about understanding. Since 1984, Oxford Learning has helped hundreds of thousands of students to go Beyond Tutoring TM to reach their learning potential not just for one grade or one year, but for a lifetime! We know that with our help, every child can feel confident about his or her abilities and have a successful academic experience.